Astrakhan is one of the oldest cities in Russia, located in the delta of the Great Russian River Volga. Now it is an important administrative center and commercial port, which is often called the "Volga Venice". From the banks of the Volga, you have a wonderful view of the ancient Kremlin and the city quarters, which are touched by their exquisite antiquity. Initially, Astrakhan had nothing to do with Russia. On these lands the Khazar Khaganate, after the Golden Horde, first settled, and in the 15th century a powerful Astrakhan khanate was established, ruled by the Tatar-Mongols. Ivan the Terrible managed to conquer the Astrakhan Khanate and annex it to the territory of the Moscow kingdom. It was then that here, on the Hare Hill, the fortress was built, which became the beginning of a new city, the outpost of the southern borders of the future Russia. The role of Astrakhan in the history of the Russian state is difficult to overestimate. The city is unique in its location: it seems to be at the junction of different cultures and even civilizations. 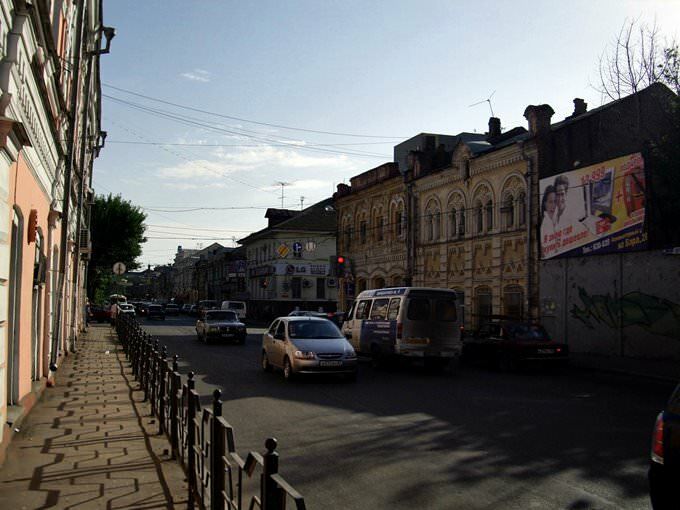 Initially, Astrakhan was a merchant city, because it was located at the intersection of trade routes. This is evidenced by the mass of preserved monuments of antiquity, which tells of the most interesting history of the great city. Astrakhan is located in the delta of the Volga, at the intersection of a huge number of ducts and river branches. For this reason, a lot of bridges are built in the city, which makes its image incredibly attractive and similar to the beautiful Venice. The climate in the city is continental, so the winter here is quite cold and snowy, but there are winter and warming periods. Summer in Astrakhan is quite hot, especially in July. In spring and autumn the weather is just fine - warm, but clear days sometimes alternate with cloudy. Romantic and incredibly beautiful "Russian Venice" in the eyes of modern tourists looks simply irresistible. This is a nice city, whose dignity is sure to be appreciated by fans of cultural tourism and hiking. The fascinating Astrakhan Kremlin is the most recognizable and most visited attraction in the city. It started to be built in the 16th century and was finished less than a century ago. Today, the Kremlin consists of 22 constructions, including beautiful old churches, defense towers, barracks, and several administration buildings. 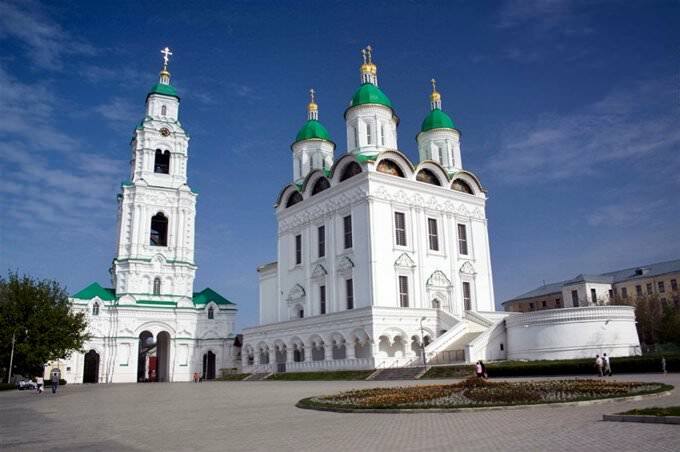 One of the main places on the territory of the Astrakhan Kremlin is the Dormition Cathedral. It started to be built in 1699 and was blessed in 1710. The old church is a beautiful construction in the baroque style. The main peculiarity of the temple is its wonderful three-tier bell. Not so long ago, the domes of the church were painted rich green, which interestingly contrasts with white walls. The church houses old precious icons connected with many wonderful stories. The fascinating monument of the beginning of the 20th century is St. Vladimir Church built in the pseudo-Byzantium style. The religious construction has a complicated history. During the Revolution of 1917, it was partially destroyed but managed to survive though. After the war, the temple served as a warehouse and then was reconstructed into a bus station. At that time, the church lost almost all the unique interior elements. The temple got its original status back in 1999. 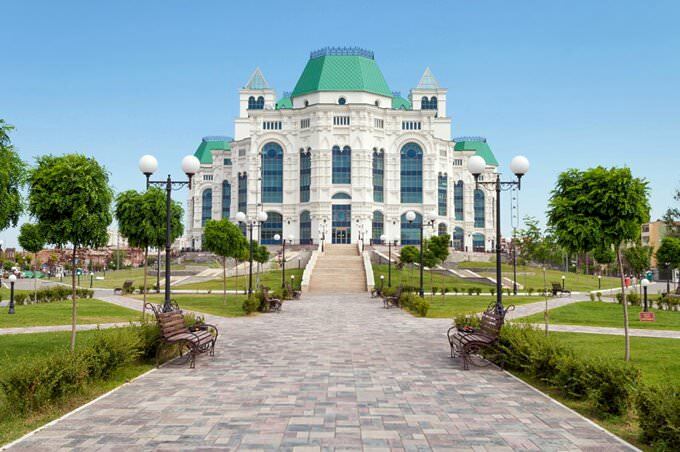 In Astrakhan, there is the Opera and Ballet Theatre opened in 2010. If you look at the building, you will hardly think that it was built not so long ago. The theatre was constructed in accordance with beautiful historical traditions. The building is decorated with interesting finishing elements. Its interior corresponds to its historical exterior. Now, concerts and theatrical performances are held in the theatre. 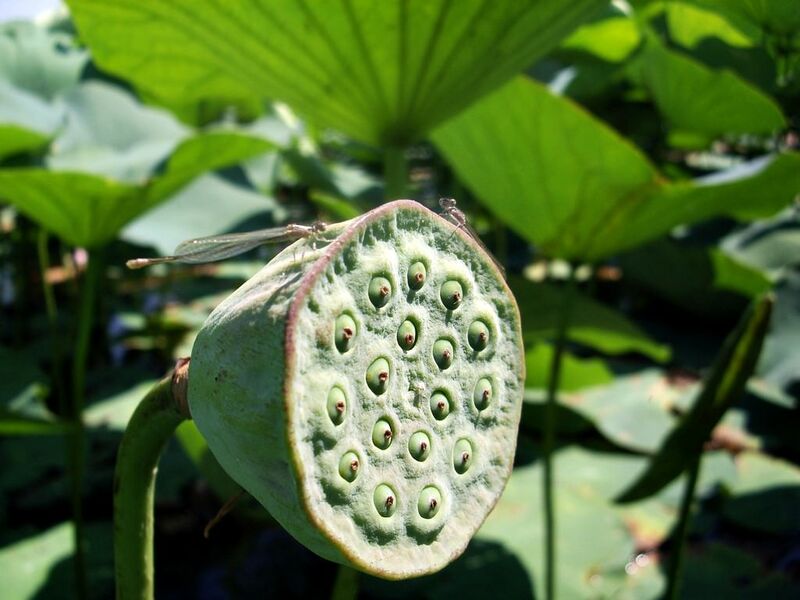 It attracts the visitors with its rich repertoire. Admirers of painting should definitely visit the State Art Gallery named after P. Dogadin. It is located in the historical building with the facade painted rich brick-red. The Gallery houses the unique collection of famous Russian artists’ masterpieces of the 18-20th centuries. It will certainly impress the fans of Repin, Shishkin and Argunov’s paintings. The Art Gallery was opened in 1918. This guide to iconic landmarks and sights of Astrakhan is protected by the copyright law. You can re-publish this content with mandatory attribution: direct and active hyperlink to www.orangesmile.com. All about Astrakhan, Russia - sightseeings, attractions, touristic spots, architecture, history, culture and cuisine. Prepare your trip together with OrangeSmile.com - find out the 'must see' things in Astrakhan, which places to visit, which excursions to take, where the breathtaking views are waiting for you. Planning your trip with this travel guide will help your to get the most out of Astrakhan in few days.